China has dramatically escalated its trade war with Donald Trump by slapping $60billion of tariffs on US-made goods. 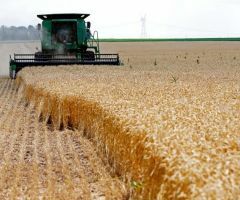 The world's second largest economy unveiled the new levies Tuesday, and say they will come into force on September 24. They were imposed in direct response to President Trump's new $200billion tariffs on Chinese imports. cost of US goods for Chinese consumers, potentially lowering demand for American-products, and risking the jobs of those who manufacture them. Trump's tariffs will affect almost all goods the country exports to the US, with these prompting Chinese President Xi Jinping's government to hit back after months of mounting tensions with the US. The country's Ministry of Commerce said: �In order to safeguard our legitimate rights and interests and the global free trade order, China will have to take countermeasures. 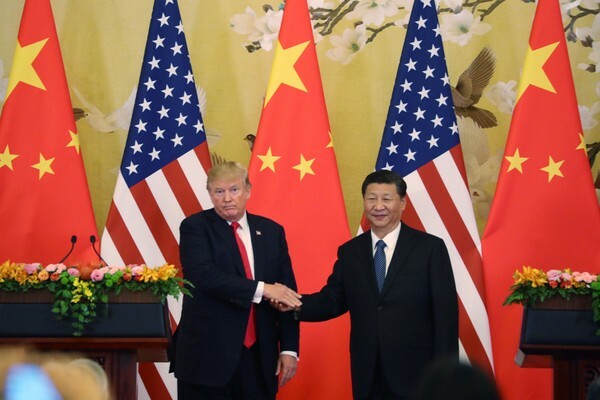 Beijing also raised the prospect of a truce with the US, saying it hoped Trump would �correct' his own sanctions against China before the September 24 deadline. Trump had previously vowed to ramp up his tariffs on China if they retaliated, saying he would make it more expensive to import $267billion of Chinese-made goods. 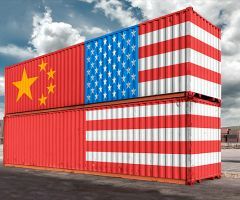 The tariffs were imposed shortly after Trump wrongly claimed China had �openly stated' its desire to try and sway US elections, and are expected to cause stock market volatility in both the US and China. He tweeted: �China has openly stated that they are actively trying to impact and change our election by attacking our farmers, ranchers and industrial workers because of their loyalty to me. 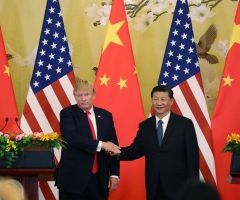 Shaun Rein, an analyst at the China Market Research Group in Shanghai told the Washington Post that China is unlikely to back down as tensions with the US continue to mount. China imported $130billion of US goods in 2017. That is less than a third of what the United States bought from China. Economists have warned Trump's tariffs could make a wide range of consumer goods made in China more expensive, including air conditioners, furniture and handbags. Last month the country's Commerce Ministry also raised the specter of duties on 5,200 different American imports, including chemicals, medical instruments and industrial parts. Any such tariffs could negatively impact on America's mainly pro-Trump industrial �rust belt,' whose workers jobs depend on orders from China.